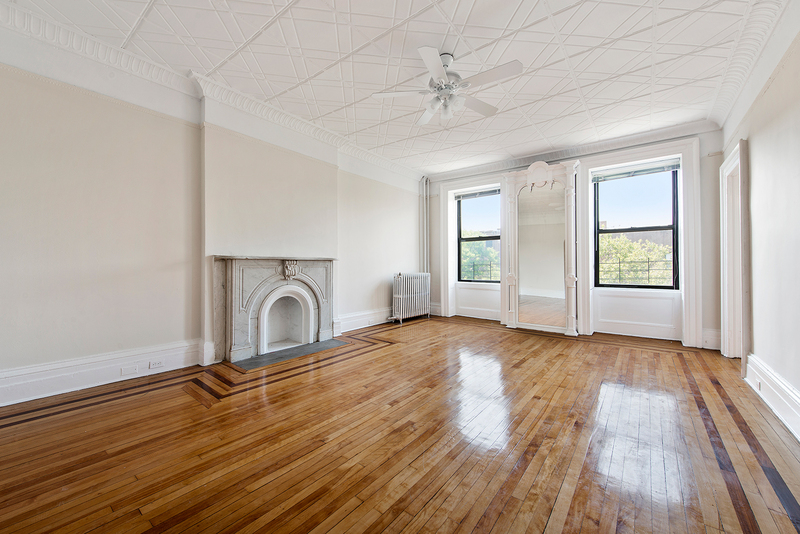 This is a rare opportunity to live on one of the most picturesque blocks in Carroll Gardens. Apartment 4 spans the entire third floor of this gigantic 25-foot wide classic brownstone. 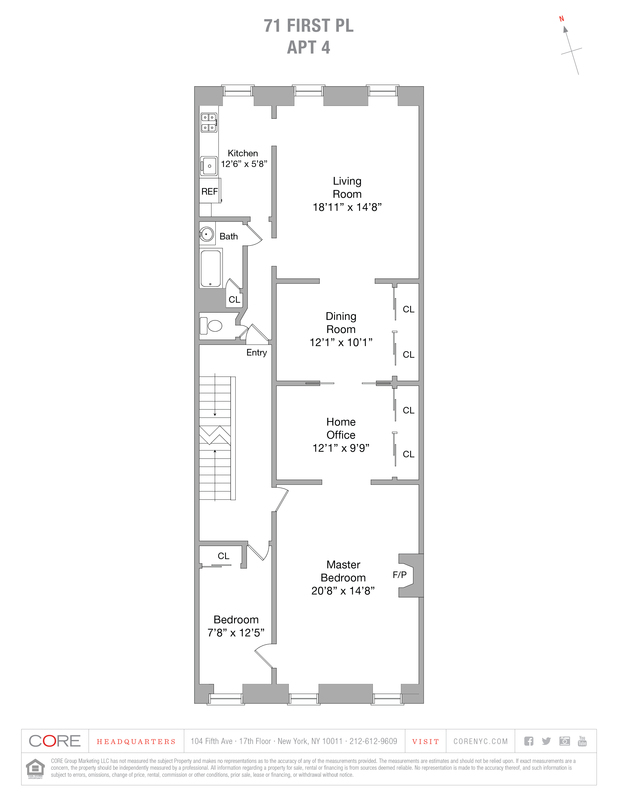 Measuring in at 1,500 square feet, this gorgeous 2-bedroom boasts tremendously bright and spacious rooms with enough space for a separate dining room and home office. Intact and immaculately maintained original details include a soaring tin ceiling, marble fireplace mantel, built-in mirror, and beautiful hardwood flooring. The separate kitchen includes a new stove and dishwasher. The bathroom features a newly glazed 7-foot long claw-foot tub.